Throughout history, wars repeat themselves in various times and places. From these wars, legends of heroes are handed down from generation to generation. Weathered by rumors and the passing of time, the truth may be forgotten, the reality buried under legends. 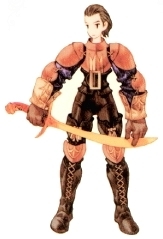 Many years ago, a war seethed and erupted within the land of Ivalice. It lasted for 50 years, finally ending when both sides laid down their arms. However, the war had exhausted the people's strength and the country's resources, and the situation within Ivalice gradually became worse. The lords of the six ruling families united to guide Ivalice back to prosperity. However, their delicate balance of power soon collapsed. 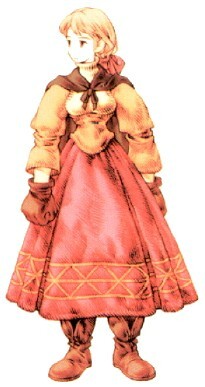 One year after the 50-year war had ended, Ivalice's Princess Ovelia was abducted. Prompted by this, conflict grew between two families: Gallione (ruled by Prince Larg, whose crest was one of the White Lion) and Zeltennia (ruled by Prince Goltana, whose crest was a Black Lion). The war between the two families would be know later as "The Lion War".